CEAG provides lighting solutions to businesses, organisations and individuals operating in the marine industry around the globe. With many years of experience in this sector, we fully understand the demands of bringing light to one of the harshest and most challenging environments on Earth. Marine lighting must be robust, long-lasting and reliable; illuminating a diverse range of locations used for commercial and private operations, defence and security, leisure and pleasure. With a long-established reputation for quality and exceptional service, our clients across the marine sector know that CEAG products won’t let them down. Our range includes on and off-shore lighting, including standard and bespoke solutions for everything from harbours, marinas and inland water facilities, to vessels, buoys and markers. We also help private and commercial owners and operators to make the most of their yacht, boat or working vessel with functional or decorative lighting. So, whether you’re looking for a commercial marine lighting solution, or need lighting for your private marina, berth, yacht or boat; CEAG can help. 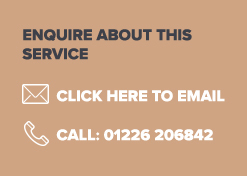 If you would like to find out more about our marine lighting range, or to speak with one of our experts, please contact us by email on marine@ceag.co.uk, or via our online enquiry form, using the button below. Our clients include Swedish Maritime, Britmar and Hartlepool Marina, as well as many independent marinas and chandlery outlets.